The Tiger’s Wedding (Martin Sisters Publishing, 2012) is a literary love story written from the close vantage point of a male narrator who has left his old world behind for a new beginning in South Korea. James Dante’s prose is superb, filled with understated humor, irony, and wonder. The protagonist is thirty-year-old Jake St. Gregory who is employed as an English language teacher at the Ripe Apple Language Institute in Seoul, South Korea. There, Jake forms interesting relationships and finds intrigue in the people and places that surround him. The focal point of the story is one particular relationship: Jake meets a woman who becomes the love of his life. Their affair is complicated and takes some unpleasant turns for Jake who comes to realize that the woman he loves is bound by a very different set of values that at times he suffers to understand. Also, the close narration assists in developing and showing character vulnerability. Dante writes Jake’s story in an effective first-person point-of-view that gives the novel a sense of intimacy as if one is hearing Jake’s story by Jake himself over a long cup of coffee at Starbucks. And as his story unfolds, Jake’s voice becomes stronger and more distinct and this reader couldn’t help but root for such a likeable protagonist. Embedded in the setting are numerous references to Korean creation stories and myths such as the tiger’s wedding, and fortune cookie-like wisdom frequently dispensed by many of the characters. Korean customs, language, and politics give Dante’s novel a richness of depth that one would expect from a story framed in a second culture. These sources also allow the reader to see Jake in the Korean perspective by contrasting the nuances of both cultures in Jake’s many references to home through nostalgia in books, film, family, politics, popular icons and clichés. The characters Jake meets in Seoul are well-developed, particularly the women characters that are intriguing to Jake. They are balanced by equally interesting male characters. Both of which are written very humanly and balanced with an individual yin and yang—kind, yet self-serving; loving and distant; angry and tender. 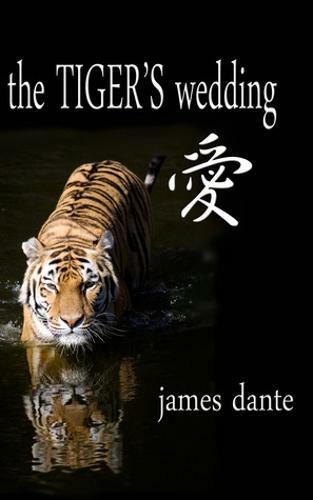 James Dante’s novel The Tiger’s Wedding is indeed a love story, a love triangle between a man and a woman and a country. It is also a study of human nature, how profoundly choice can affect balance and order within a community. James Dante lives in Northern California. He graduated from the University of California at Davis and later traveled to South Korea where he taught English in the 1990s. His fiction has appeared in Rosebud and Toasted Cheese. The Tiger’s Wedding is his debut novel. James presently teaches adult education classes and is writing his second novel, set in Moscow. In addition to his website, you can find James on Facebook. This entry was posted in Issue 13:3 and tagged Candle-Ends, Harpspeed, James Dante, Reviews, Shelley Carpenter by TC Editors. Bookmark the permalink.